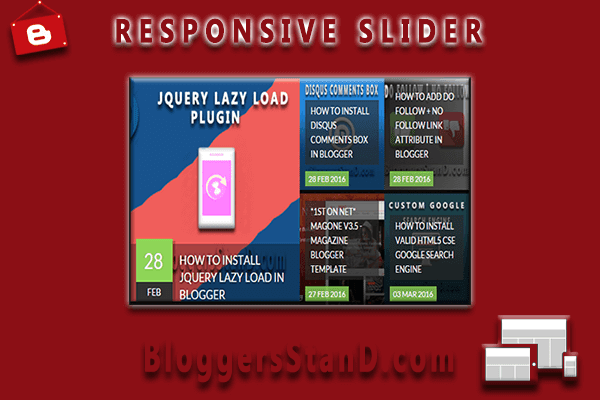 How To Install Responsive Recent Posts Slider In Blogger | BloggersStand ';-1!=b.indexOf("img.youtube.com")&&(a=' ');d=a+''+p+''+titlex+"
Hello Folks, Today we are going to share another awesome blogger Plugin,How to Add Responsive Posts Slider In Blogger Template.This gadget is totally responsive that means it will work perfect with any screen size.Reponsive Recent posts/Article slider is unique in it's own way,In this tool you can display recent updates of your website or blog.Now days everyone wants responsive plugins for their blogger template which suits the blog niche and also happy to serve to any screen size whether it's iphone model or ipad.You might been using posts slider in your template but that is mobile friendly? responsive friendly? If not replace that slider with this beautiful responsive recent post slider.So to grab this widget follow the steps mentioned below. See the Pen How to add Responsive recent posts slider in blogger template by BloggersStand (@bloggersstand) on CodePen. Step 2. Now Click on Template -> Edit HTML. Step 4. Copy the below CSS code and paste it just before the ]]></b:skin> or </style> tag. 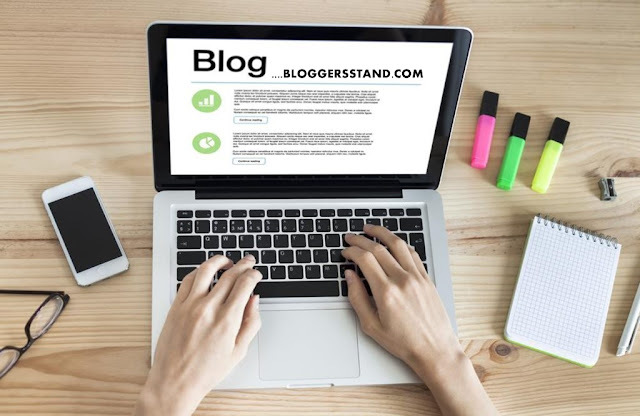 Replace Bloggersstand.com with your url. To change the number of max post replace 5 with your number. To change the image size, change 450 with your image dimension. If you want to slide posts automatically then Autoplay tag is True if you don't want just make it False. Step 6. Now Wherever you want to display the Responsive recent post slider in your blogger template just add the below code tag. If you want to display Responsive Recent posts slider widget only on your homepage,then add the following condition tag. Now Save your Template..Done ! Step 8. If you want to display the widget only on Homepage/Main page then add the following conditional tag in your Widget.Suppose your widget id is HTML3 then just go to your template->edit html and after that select your widget,look below for example. After selecting your widget then your code will look like this. Now to display widget only on homepage we are going to add condition tags.now your code will look like this. You can see above highlighted code is for display the widget only on homepage and we recommend to add this widget only on homepage. Learn trick to add creating adding responsive recent article posts slider box widget gadget plugin for blogger template,Tutorial on installing responsive auto posts sliding widget in blogspot website. 0 Comments on "How To Install Responsive Recent Posts Slider In Blogger" So Far - Post Yours!